We feel it is essential that when women come here their rooms are prepared, all their meals made for them and ‘all the housework is done’ so that all they have to do is relax. We rely heavily on volunteers and donations to make up the shortfall with regards to running costs, maintenance, cooking, cleaning and part-time staff. Many of the women who have stayed over the years have come back to help with things such as ‘spring cleaning’ or the ‘garden and grounds working-bee’. Many of the women Te Wahi Ora has helped donate money to our Charitable Trust to help us help other women. We are aiming, for the first time in Te Wahi Ora’s 25 year history, to have fulltime staff dealing with our guests, with our volunteers like Bev our manager, the Trustees, working-bee helpers and other friends of Te Wahi Ora using their gifts as and when possible. 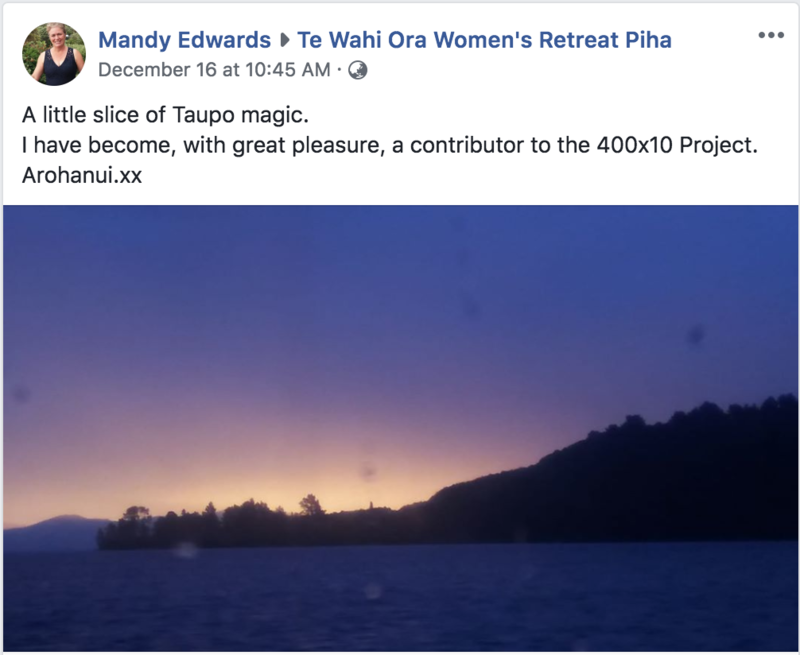 We therefore started The 400×10 Project as we realised need a structured staff fund to help make Te Wahi Ora Women’s Retreat more sustainable into the future. Our aim is to find 400 wonderful women to donate $10 a month to the the Te Wahi Ora Charitable Trust. In the short time this appeal has been running, we well on our way however we haven’t reached the magic 400 yet. We would greatly appreciate your support. A/C No: 12 3100 0149383 00. 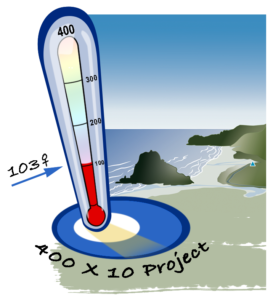 Alternatively you can make a ‘bulk monthly donation’ (By way of example, the equivalent amount of $10 a month for 3 years – $360) Please put your name and ‘400×10 Project’ as a reference on your automatic payment / donation. “I’m not quite sure how I stumbled across your website, but the service you provide is something I think is very valuable. I remember years ago being a single mum with two lovely children – I loved them so much but fantasised about going to a hotel for a weekend and getting room service, watching what I wanted on TV or just reading or knitting with no little people needing me! I couldn’t afford to do it then and also felt a bit guilty about my thoughts of escape… I now have two lovely young men of whom I’m very proud. I survived without my weekend away but think that this would be something of huge value to mothers generally. We need to support mums to grow the next generations! What a wonderful idea to ensure this amazing place can continue to provide support for women. Just set up an automatic payment for 10th of the month. I used to bring a team from the HELP Foundation for a few years while I was working there and have visited with a couple of my friends since. It has always been a place of serenity, reflection and healing and I am happy in this small way to help support the wonderful work.